A 3,500-year-old tomb of a Bronze Age warrior in southwest Greece was unearthed 2 years ago by researchers from the University Cincinnati. 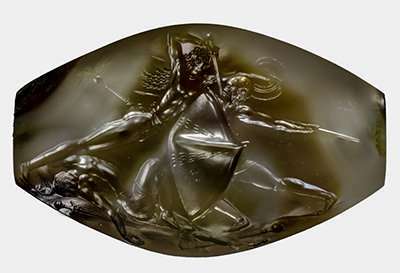 The so-called ‘Griffin Warrior’ has revealed his most stunning historical offering yet: an intricately carved gem sealstone, descripting warriors in battle, which has been labeled as the one of the finest works of prehistoric Greek art ever discovered. The amazing artwork has been named “Pylos Combat Agate” for the fierce hand-to-hand battle it portrays. According to archeologists, this new treasure promises not only to rewrite the history of ancient Greek art, but to help shed light on myth and legend in an era of Western civilization still steeped in mystery. 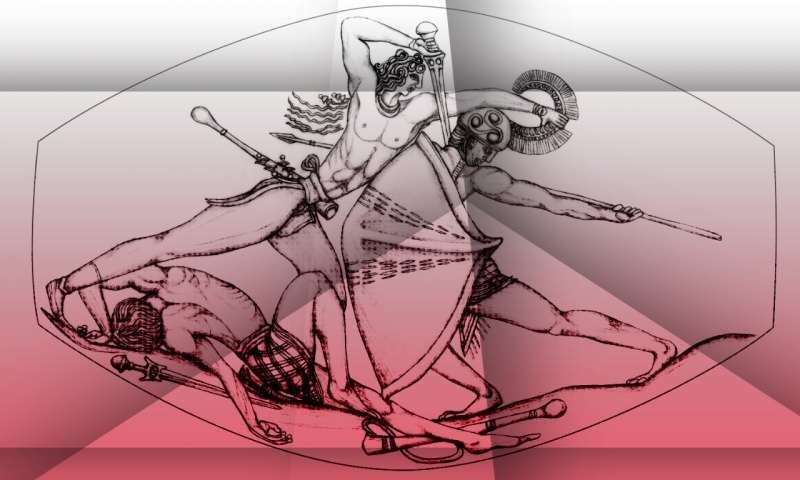 The seal was discovered in the tomb of the Griffin Warrior, a remarkably undisturbed and intact grave of what is believed to have been a powerful Mycenaean warrior or priest buried around 1500 B.C.